When hiring an electrician to replace your electrical panel, remember to make sure they pull an electrical permit prior to your installation. Electrical permits are required by state law and help ensure that your electrical work was performed correctly. Electrical work performed in your home cannot be inspected by the state electrical inspector unless an electrical permit has been pulled. 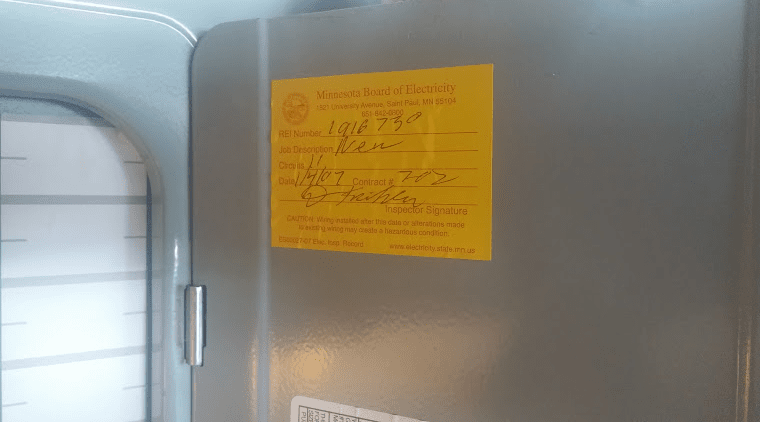 Here are three good reasons why you should insist that your electrician pulls an electrical permit before your electrical panel replacement. – Abiding by state law will ensure that your property is unencumbered when it is time to sell. – It ensures your contractor is licensed – only a licensed electrical contractor is able to pull a permit to work on someone else’s property. – A state electrical inspector will help ensure your installation meets the current electrical code. electrical panel indicating the type of electrical work performed and the date it was inspected.